We are no longer sure whether Majorca is the correct location for the unconference. 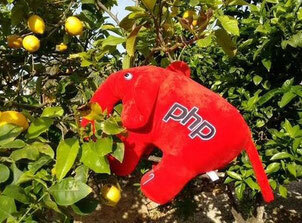 Are there any PHP usergroups on the island, which would be willing to assist us? In the next two weeks, we are each going to investigate one of these locations for suitability. We would very much like to hear from you. What is your opinion? Which location do you think would suit PHP Unconference Europe? Furthermore, in the same time frame, we are going to start discussions with potential sponsors. If you would be interested in supporting or sponsoring PHP Unconference Europe, please get in contact with us. We would be delighted to hear from you! The organizers of the PHP Unconference Europe have decided to meet up every four weeks. Let's see what happens! We will report on progress here in the blog. Im from none of the four cities mentioned above but if you could think of Munich for a moment i would be honored to help with the prep plus im quite connected to a good network of potential sponsors. I would like Barcelona too. You can probably contact someone at http://phpbarcelona.org/ to get help, they also organize the http://phpconference.es/ . Budapest and Majorca are also easy to reach from most of Europe. Do you know someone who is in towns named above and in a PHP Usergroup? Maybe you should ask the usergroups in those cities first if they are willing to host. I personal would prefer Barcelona, Budapest is a really nice city as well. And yes I liked the idea of Majorca. In Manchester this year there will be a Wordcamp 2010 UK in July.